Esten made his theatrical debut in London when he portrayed Buddy Holly, singing, acting and playing guitar in the hit West End musical “Buddy.” In that role he was honored to perform for Her Majesty Queen Elizabeth and Prince Philip, and eventually President and Mrs. George H.W. Bush at The White House. He was also very honored to perform with Jerry Allison and Joe B. Mauldin, Buddy’s original hitmaking bandmates, the Crickets. While on "Nashville”, Esten has been honored to perform at the Grand Ole Opry and the historic Ryman auditorium. He was also thrilled to sing and officially "flip the switch" at the 2013 Graceland Christmas Lighting ceremony. 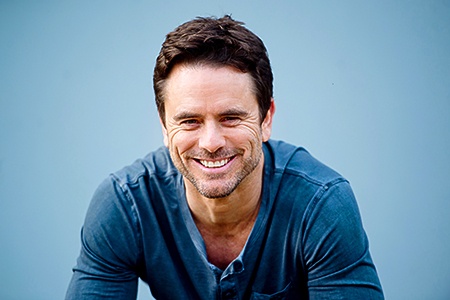 Many of the songs he has performed as Deacon (Undermine, Sideshow, Playin' Tricks, etc..) are available on the five very successful "Nashville" soundtracks that have been released to date.